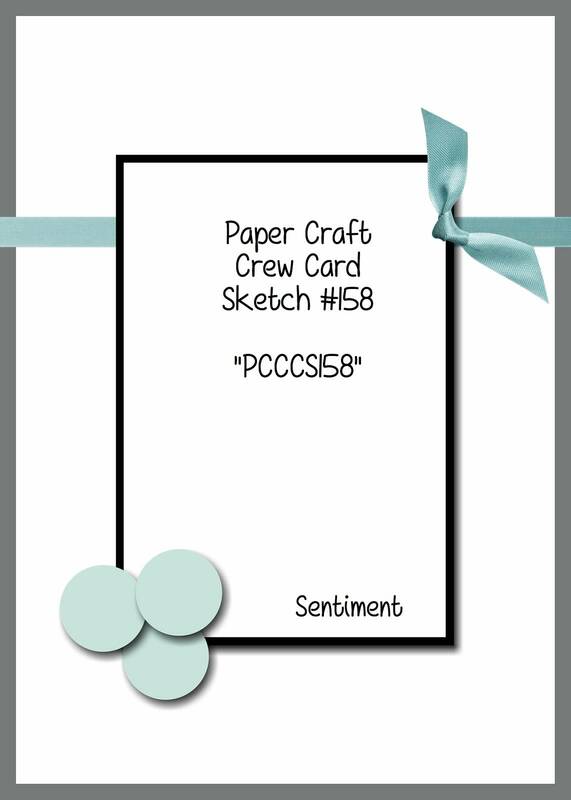 It’s time for another sketch challenge with the Paper Craft Crew! My Timeless Elegance Designer Series Paper arrived a couple of weeks ago, but this is the first time I’ve pulled it out to use it! I cut a panel out of the gorgeous rose pattern paper, and used my Blender Pen and Blackberry Bliss Stampin’ Write Marker to shade the largest rose. I then matted it on a piece of Basic Black cardstock. On the Very Vanilla cardstock base, I layered a piece of the Bohemian Designer Series Paper, which has a Blackberry Bliss pattern in it, and wrapped a piece of the Venetian Crochet Trim across the top, then added a knot. 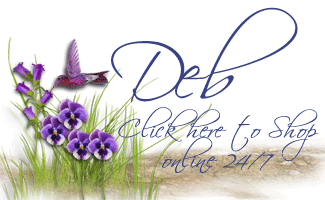 The sentiment, from the Watercolour Wings stamp set, is stamped in Blackberry Bliss ink onto Very Vanilla cardstock, and the banner tail made using the Banner Triple Punch. I also sponged the edges using a Sponge Dauber and the Blackberry Bliss ink. The 3 roses are from my ‘retired’ stash; I sponged them with Blackberry ink and the Sponge Dauber, and attached them using Glue Dots. I don’t usually do a ‘vintage’ look, but I think I managed to pull it off with this card – mostly thanks to the Timeless Elegance DSP! 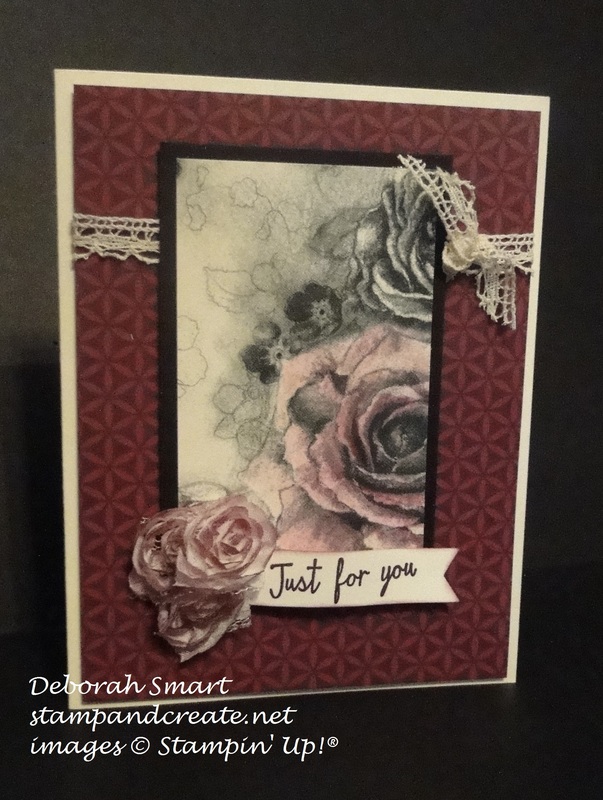 Hopefully you like my card, and are inspired to do some stamping yourself! Have a look at what the rest of the design team has created over at the Paper Craft Crew page, then join in the challenge with a card of your own! Thanks for spending some time with me today 🙂 Until next time – happy stamping! Thanks for the nice compliment, Susan! I’m glad that you liked the roses on the card.